When I read on the Lough Erne Resort website that they had 5 helipads my eyebrows were raised. Then I remembered that the G8 Summit was held there a few years ago; hence the need for such high tech facilities in a place that really epitomises the quiet rural Irish country landscape. 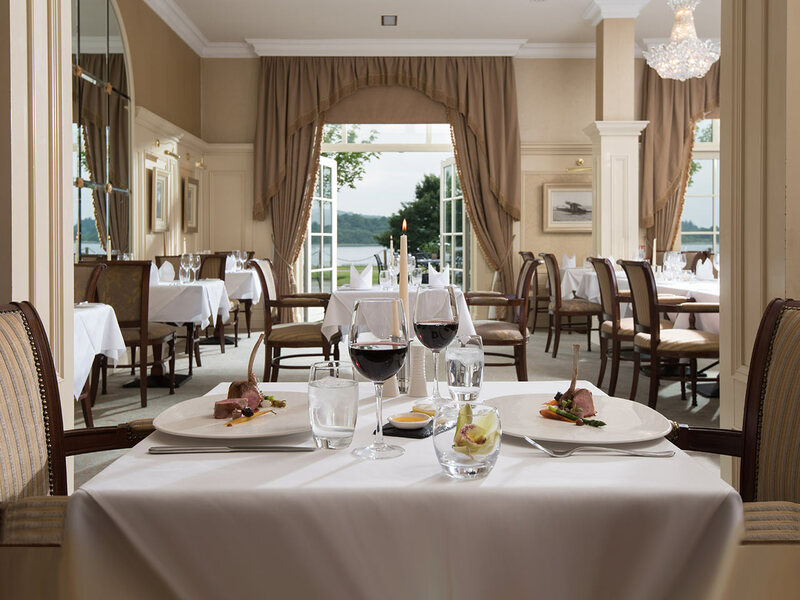 The relatively newly built Lough Erne Resort Hotel (now in its 10th year) has settled nicely into the local landscape; whilst at the same time offering their guests all those extra little touches to make a stay there a memorable experience. Ok, just so you know, I arrived by car (it was a very windy day anyway!). 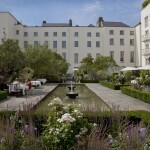 The Hotel: There are 59 rooms in the hotel with 60 rooms in the lodges nearby. Whilst the exterior of the hotel is rather intimidating at first sight as soon as you enter a completely different experience awaits. The first thing I noticed on entering the building were the lovely wide gracious corridors, glass display cabinets and spacious public rooms. The main staircase has a superb chandelier hanging over two floors and a spotlessly polished brass banister. On arrival I met briefly with William Kirby, the General Manager, who has been in situ for less than a year but already his professionalism is hugely evident. Shane and Bert, the two Concierges, were full of chat and gave me lots of information about the hotel. I was very taken with the Garden Hall, with its décor of traditional golds and reds, which overlooks the peaceful Castlehume Lough surrounded by wheat coloured rushes. I particularly liked the commissioned ceramic birds on the walls; which have the effect of bringing the outdoor landscape into the room. There was some discussion as to whether the birds were swallows or not – the jury is still out. The Gordon Wilson Library is a room of peace and quiet where there are interesting photographs on the walls from the G8 Summit. These include well known faces such as President Obama and the German Chancellor Angela Merkel. However, it is the photograph of Gordon Wilson, which draws you to it. It has a plaque underneath with his immortal words on forgiveness and which is an emotive memory for anybody who has been affected by the Troubles in Northern Ireland. 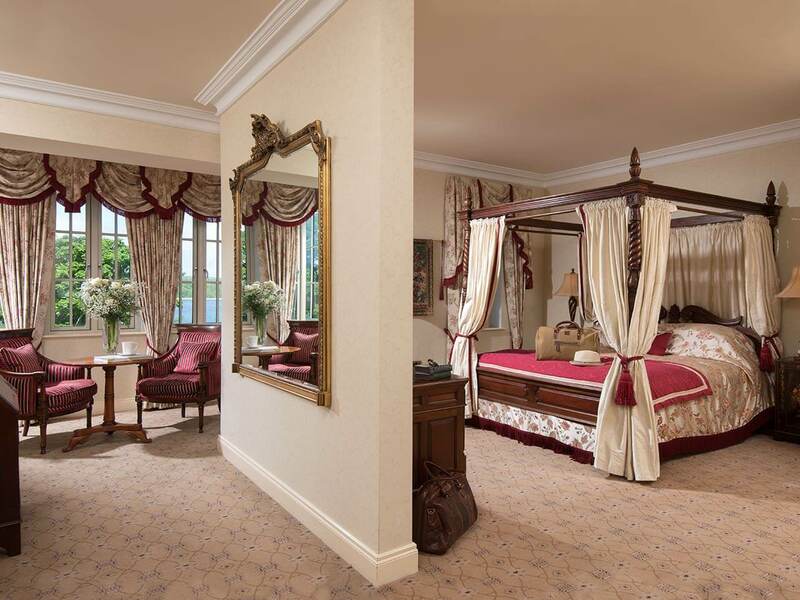 The Bedroom: The bedrooms are listed as being Traditional and Lakeside with the same description applying to the lodges on the grounds. These are very accurate descriptions and the hotel in general is reminiscent of the grand hotels built in earlier times for visiting tourists/travellers. 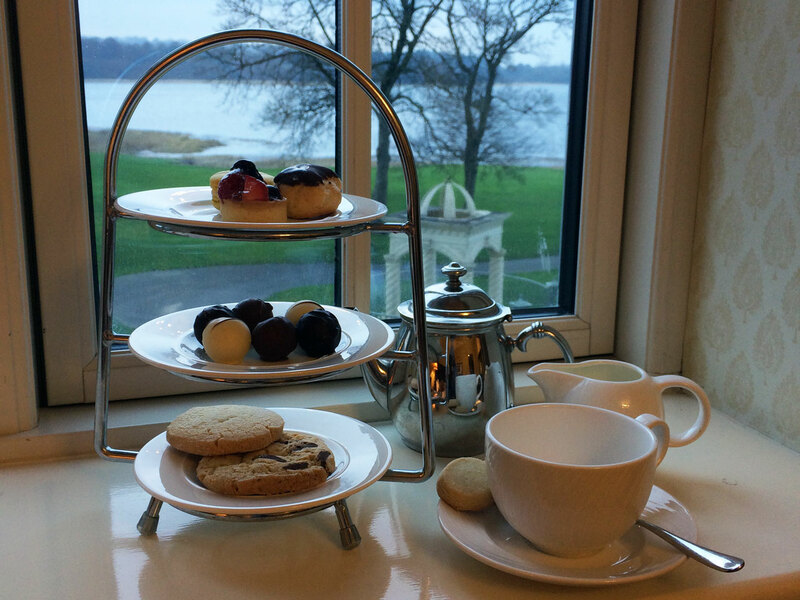 Despite itching to get out for a bracing walk along the lake I took my time as the promise of afternoon tea in my room sounded like a nice way to settle in. I know January is supposed to be a month of abstinence but how could one possibly resist a three tier display of goodies. The lemon macaroons were a big hit (ate two!) with a really tangy crunchy taste which meant they were fresh. There is nothing worse than a limp and soggy macaroon. My bedroom was on the first floor overlooking the lake with a very nice Pergola outside on the lawn. The windows were dressed with good quality heavily embroidered curtains and there was crisp bed linen on a king size bed. There was a fine size bathroom with free standing bath and separate shower. If I had a quibble about the room it would have been that the window opening in the bedroom was restricted and I couldn’t throw open the windows wide so that I could breathe in the pure lakeside air. The Dining Room: The Catalina Restaurant is described as being ‘The Epitome of Sumptuous Dining’ and this is not an exaggeration. It is a large symmetric room broken up by six pillars making it a more intimate setting for fine dining. Here I found ‘A Story to Tell’; which is how their hugely renowned Executive Chef, Noel McMeel, describes how he finds his inspiration. Noel is very passionate about the local food providers who he says are producing some of the world’s (not just Ireland’s) finest produce, from Kettyle meats to kelp. He is particularly proud that the management has given him a free hand to create dishes that are both imaginative and delicious. He even uses fruits from his own garden and I can certainly vouch for his blackcurrants. For dinner that evening I started with Kilkeel Crab with Shaved Pickel Fennel & Chervil accompanied by Quince Water Ice with Tangerine and Black Pepper Dust – a mouth-watering dish with contrasting and complementary flavours. My main course was a divine fillet of Kettyle beef with Celeriac Puree and Grilled Salsify – again delicious. I couldn’t resist the Blackcurrant Soufflé as I knew that the blackcurrants were from Noel’s garden. It was melt in the mouth and light as a feather. There was so much else to remember about this meal, including the treacle bread with Abernathy butter. The food here is lovingly prepared by a real celebrity chef; one who is without airs and graces. My taste buds enjoyed a roller coaster evening of succulent tastes and delights. One very unusual aspect of my dining experience was that all the serving staff were female. They were extremely well trained, knowledgeable and efficient. On a side note the name Catalina comes from the name of the flying boats that were based at a RAF base at Lough Erne during WW2 and is part of the history of this region. The Golf and Spa: Whilst not playing golf on this particular visit I had played there previously. This is a parkland championship course with some iconic holes such as the 16th known as the ‘Faldo Turn’ after the course designer, Nick Faldo. However, most find the final 18th hole, which is a Par 3, one of the trickiest to negotiate owing to the proximity of the lake. Note that I haven’t mentioned the 10th hole which is almost completely surrounded by the Lough! It is a challenging but rewarding course, beautifully maintained with carpet quality greens. It is definitely on the ‘must play’ list for any self respecting golfer. Whilst Lough Erne Resort is a large hotel I found myself remembering the names of the staff who were some of the friendliest I have encountered anywhere. Amy in Reservations had thoughtfully left a lovely note in my room along with some Turkish Delight Marshmallows, which I took home with me. I was thrilled when Noel McMeel presented me with a copy of his book “Irish Pantry”. He is without doubt one of the most passionate chefs and with the support of William and the management team has the freedom to scale the heights of perfection in what is a very competitive profession. 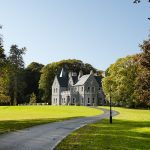 So often Ireland’s midlands play second fiddle to the more symbolic and well known coastline but here beside the gently lapping Lough Erne, where still waters run deep, there is an opportunity to recharge and rejuvenate at a more gentle pace and discover the benefits of a quieter rural countryside. 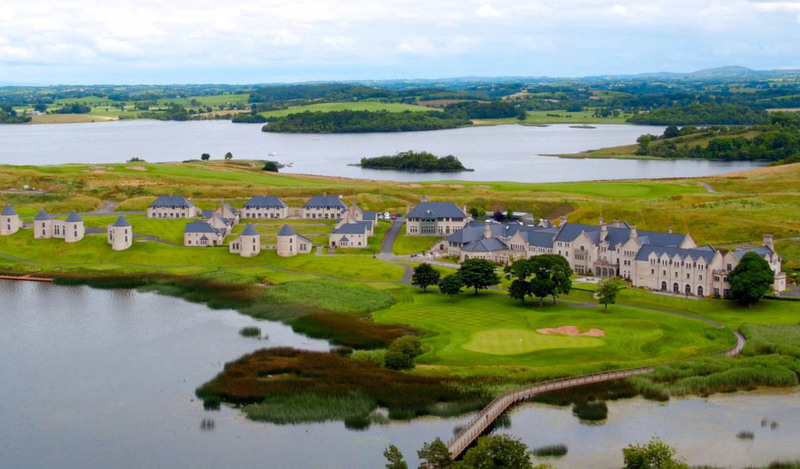 Lough Erne Resort, Belleek Road, Enniskillen, Co. Fermanagh.